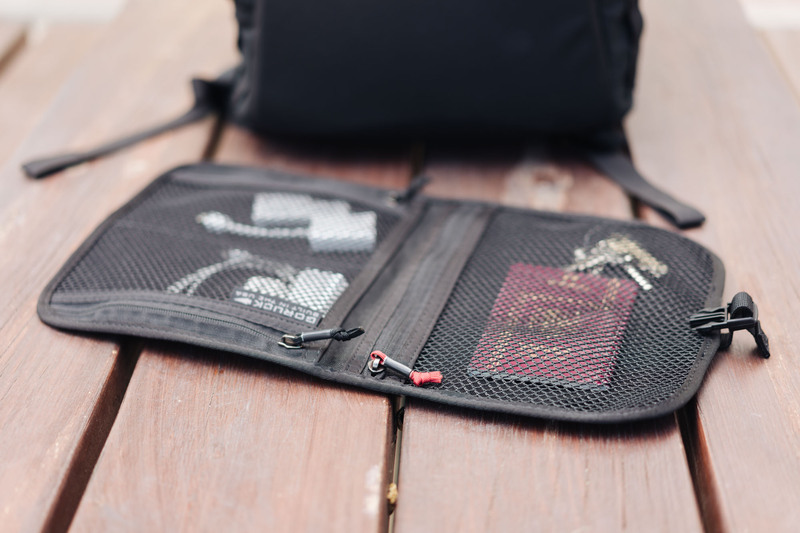 My review of the GORUCK Wire Dopp, an organizational sleeve designed to fit the front slant pocket of the GORUCK backpacks, was published today on Tools & Toys. This was one of those cases when I actually changed my mind about a product after owning it and using it for a while. That’s why I always try to spend a substantial amount of time with any product before reviewing it. For the first few days after receiving it, I wasn’t entirely sure what the point of it was, and whether I could recommend buying it as an accessory for your GORUCK rucksack. It just seemed too bulky for something designed to hold small items, and stuffing a relatively big sleeve in an already space-constrained pocket didn’t seem like a particularly smart approach. Then I gave it some thought. 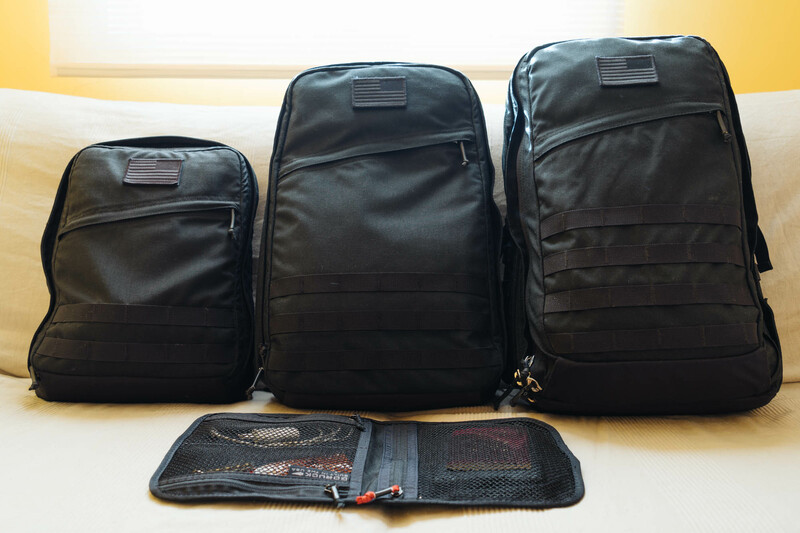 On one hand, at $25 it’s well within the impulse-buy price range, and it’s just as well made as all GORUCK products. On the other hand, I didn’t think there was anything wrong with my GORUCK bags that this accessory could solve. Then I thought about it some more, and realized how I never actually used the front slant pocket on any of my GORUCK bags. The truth is, as cool-looking as it is, that front pocket is not exactly practical. When the bag is full — which is to say, always — this pocket is so compressed by the rest of the bag’s contents that getting my hand inside to grab anything was hard enough for me to avoid using the pocket entirely. If that pocket was supposed to act as a convenient place to store a few small items for quick and easy access, it wasn’t really performing as intended. It turns out, the Wire Dopp solves this problem beautifully. 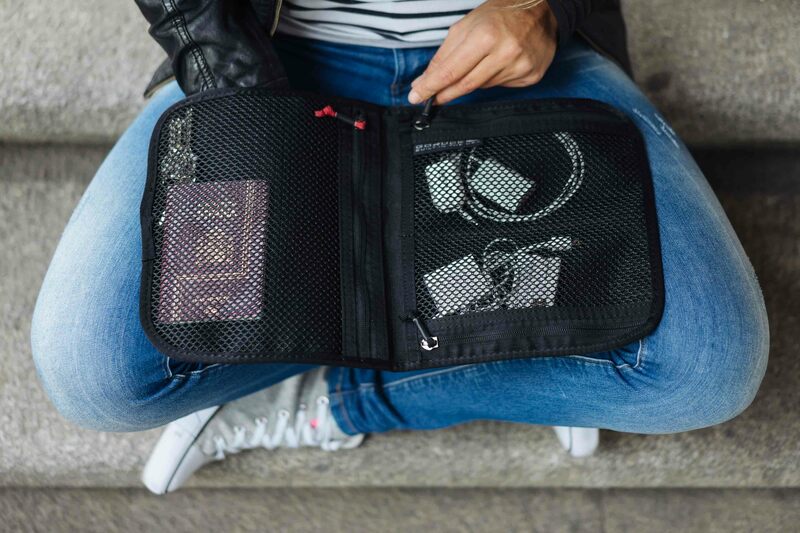 By keeping everything inside a sleeve that folds in on itself like a bifold wallet, grabbing an item is as simple as getting the Wire Dopp out of the front pocket, and then finding the item inside. After a few weeks with it, I now use that front pocket more than ever. I also use the Wire Dopp with my other non-GORUCK bags, and even as a standalone item. It’s not a perfect accessory, but at $25, the benefits of the Wire Dopp are well worth the price of admission. If you’d like to read more about it, head on over to Tools & Toys for the full review.